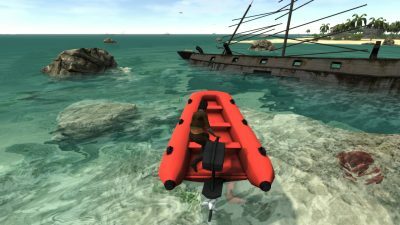 Time for another status update on the game with some cool screenshots of our beloved little red raft. Everyone who has played the Lost Loot pre-alpha has tried to use it in that version. Unfortunately it was never functional except as a travel system to much disappointment and continuous attempts to figure out how to “use” it. 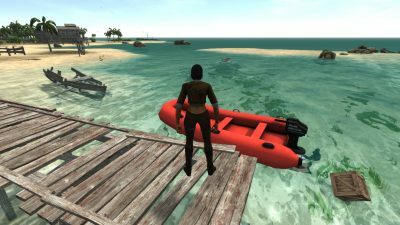 I am happy to declare that the little red raft in the alpha version is now fully functional! An outboard motor must be found and there are several to locate that have improved speed and turning. It can now be driven around and even consumes fuel – which is a precious commodity you must find to help further the exploration of the islands. Riley can also improve her boating skill which will help increase speed and turning while saving fuel. The boat still acts as a quick travel system but fuel usage must be kept in mind so no more going back and forth all over the island without consequences. Driving the boat is fun, just get near it and start it up. Riley will jump in and she turns the motor to the left and right. The outboard hums and the prop spins producing a nice foam wake as the raft slowly moves forward. Getting going on a straightaway will give a nice speed boost but this is not a racer so don’t expect wave jumping. It is easy to disembark by stopping the engine and then just jumping out. Another major improvement is new trees that don’t flap around when you turn your head! Yes, I have finally given up on waiting for Unity to fix the tree billboard bug and decided to move to Speedtree trees. This of course comes at the expense of less trees since they are much heavier with additional draw calls for the LOD levels. I have managed to balance this out a bit since I now have control over the LODs and billboarding etc. Overall it is a richer experience and no more waving tree billboards! I have also been thoroughly enjoying learning Speedtree which is an immensely powerful tool that takes some time to master. I have recreated some of the trees and bushes using the assets from the Pirate Island pack so I am still maintaining a bit of the old look. The trees will continue to be a work in progress. 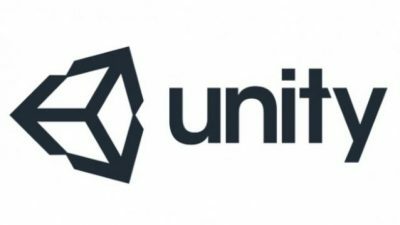 The alpha version is now running on Unity 5.4 with the latest Oculus sdk/runtime. I am continually battling performance issues however with the game running just barely at frame rate on a GTX970. I think the ideal minimum would probably be a GTX980. 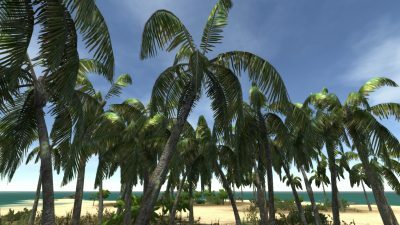 The game does have lower quality settings that come to the rescue and will run with reduced resolution to guarantee frame rate. It really should look beautiful on the more powerful cards with all the detail cranked up while using the higher quality settings. The last few months have been a bit slow going with the game because I ended up taking a job working full time on VR at Wayfair back in April which has kept me rather busy! I have to say that doing VR full time has been a great deal of fun – work just doesn’t seem like work anymore. We put together a quick experience that is now in the concepts section on the Oculus store so go try it out. 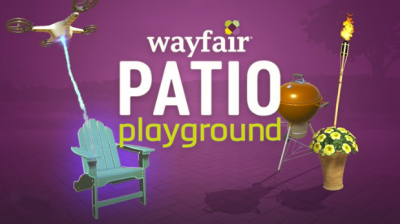 We had a bit of fun with it and it is neat seeing real products in VR – you can find and purchase all the things in that experience on Wayfair! There is also a lot of other cool (and more serious) VR and AR things we are working on that will be coming this fall. Well enough about the day job. 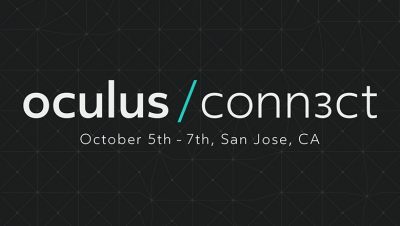 I will be at Oculus Connect 3 in October representing Wayfair so if you see me say hello. I can’t wait to see all the familiar faces of this wonderful VR community that I have been a part of the last few years. 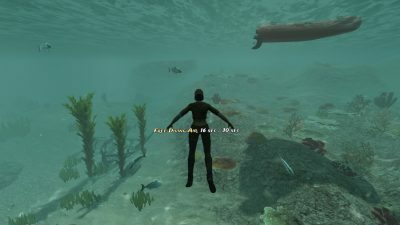 Tagged lost loot, oculus connect, speedtree, wayfair. 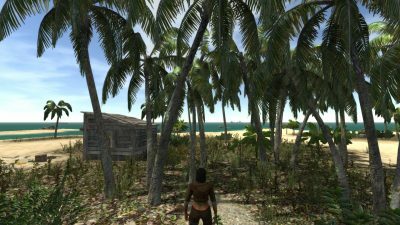 « LOST LOOT Pre-Alpha Update #3 Released!